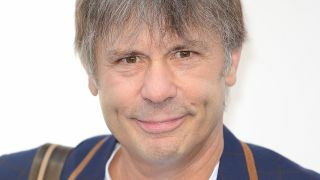 Iron Maiden vocalist Bruce Dickinson has defended Brexit and explained why he voted to leave the European Union. The UK held a referendum in 2016 on whether the UK should remain or leave the EU, with 52% voting to leave and 48% voting to stay. It’s a decision that has not only split the country, but one which has also split politicians – but Dickinson says he’s “quite relaxed about the idea” of the country leaving the EU in March next year. “Iron Maiden music is global music – we have fans everywhere. I don't see any problem with touring Australia; that's not part of the EU. There's no problem with touring in Japan; that's not part of the EU. I don't see any problem with touring America; Oh, let me see – that's not part of the EU. Do those musicians have problems coming to Europe? No. “Interesting thing about Brexit was that I was one of the people that voted for it. I’m quite relaxed about the idea. Dickinson continues: “What you have at the moment is effectively the European Union obviously not doing a very good job satisfying the democracies of Europe. “A lot of people, not just Brexit, but all kinds of other people – whether it's Italians, Greeks, Hungarians or Catalans, or whoever it is – are all having big populist movements. It's because their democratic needs are not being addressed by Brussels. The right people to address the needs is the democratically elected leaders." Dickinson says the EU has “always been seen as basically a common market” and admits that there are advantages to that, but adds: “There's no desire for most people in England, even people who voted to remain in the EU, to become part of a federal system. And I think that's a big mistake. "Britain has always been a trading nation with the rest of the world. Only since the 60s has Britain started to look only at Europe as being a source of trade – and I think ultimately that's ended up being a big mistake. The 27 other EU leaders approved the terms of the UK’s exit over the weekend, but prime minister Theresa May still needs MPs in the UK parliament to back the deal.